Trekkers who want to do camping trek, Nepal is the best choice for them. In Nepal, there are lots of Mountains and peaks, so its called the country of the mountain. Lots of trekking route are existence in the lap of the mountain area of Nepal. Some of them are most popular due to easy access and promotion but lots of trekking trail are in the shadow for capture tourist. Trekking route where the flow of tourist is very less, there are no more hotel or teahouses. But the trails are naturally beautiful. We can see the local villagers and their lifestyle as well. In some trekking route of Nepal, no teahouse no lodge. So we need to do the tented base trek to fulfill our journey. 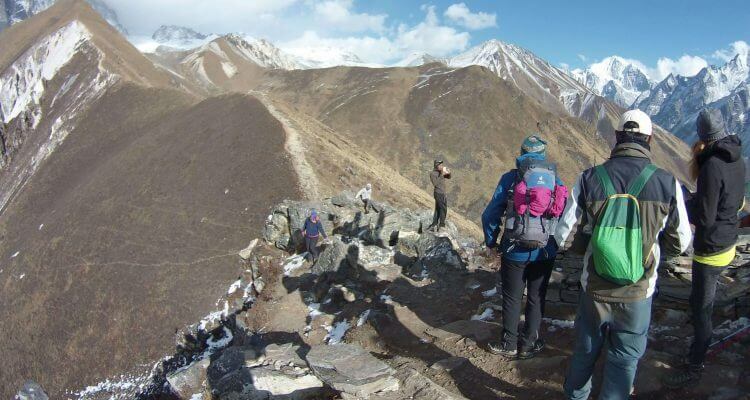 Camping trek includes a professional guide, cook, Sherpa, and the big group of experience porters to give you service. Our company manages all trek gears, food, fuel and the staffs for the trek. Trekkers need to carry only their small bag where Personal belongings like the water bottle, themselves should carry rain gear, camera, etc.. At night, we will provide dining tents, sleeping tents, sleeping bags and toilet tents with high quality. Normally we start trek around 7 am after having breakfast. You will get a bowl of warm water for washing and cleaning if need. Trekkers can decide the time for taking photographs and make a short break. After having breakfast in the morning, normally after three hours, we will have lunch time. In the afternoon, after walking about 3 to 4 hours, you will reach the camp around 4 pm of 5 pm. Dinner time will be around 6/7 pm. This was my first time in Nepal and taking a hike of this length. Our trek lasted 7 days went along the Annapurna panorama and Ghorepani Poonhill.